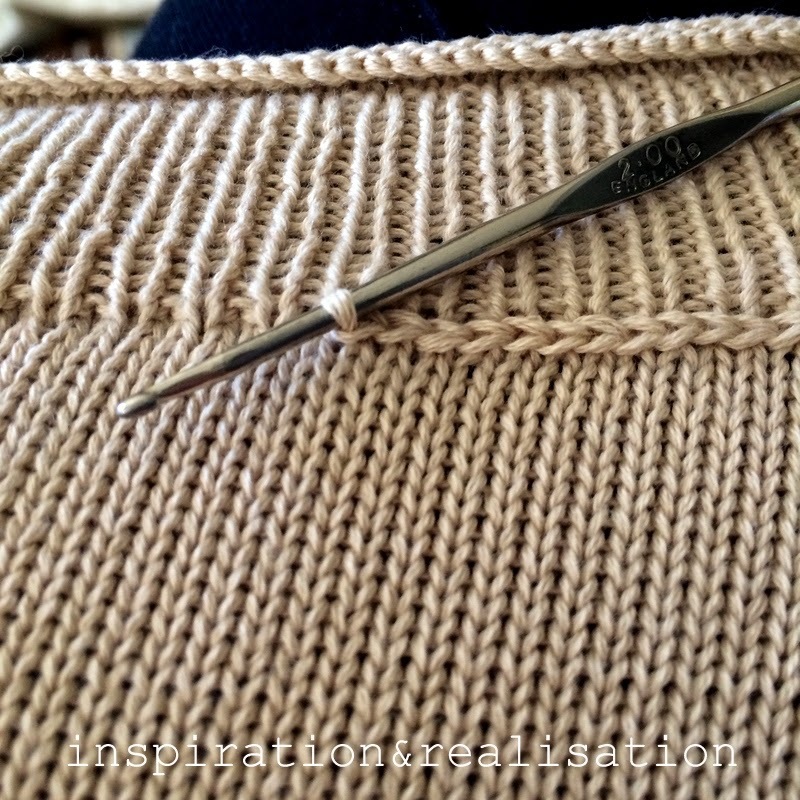 I love intarsia knits and if you read this blog for a while, you know I have a big crash for anything CORAL. 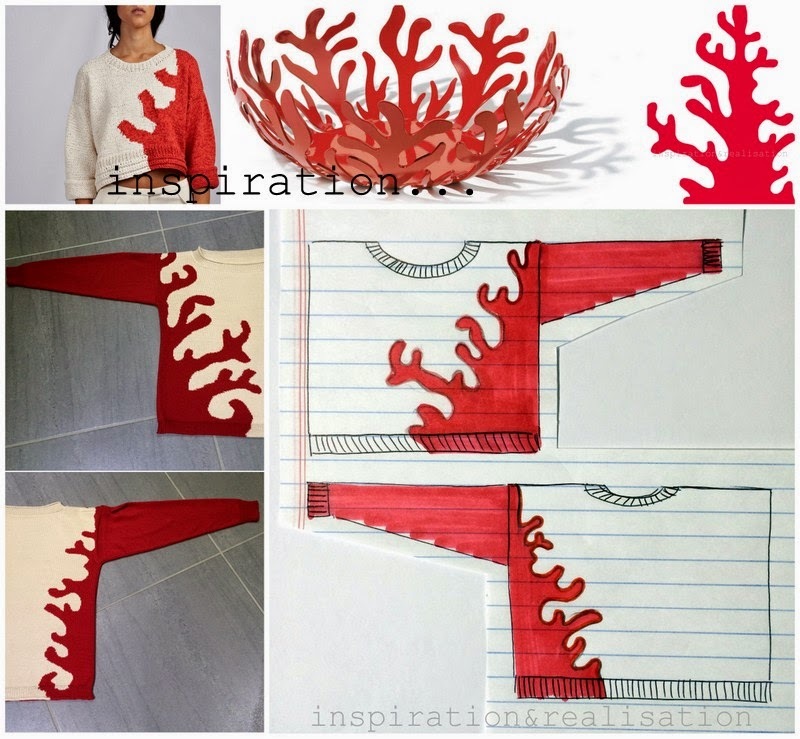 So, once I got out of the box my intarsia carriage, the first thing that I wanted to make was a coral branch sweater. This is how it turned out... I'm so happy! displayed with my DIY coral necklace. 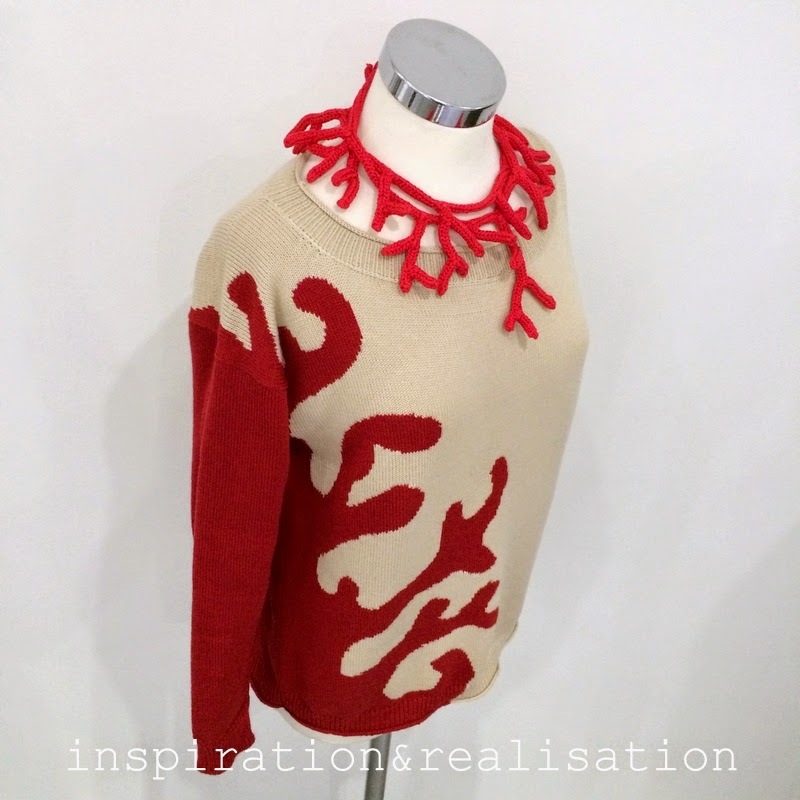 The sweater is made of cotton, in ivory and red. 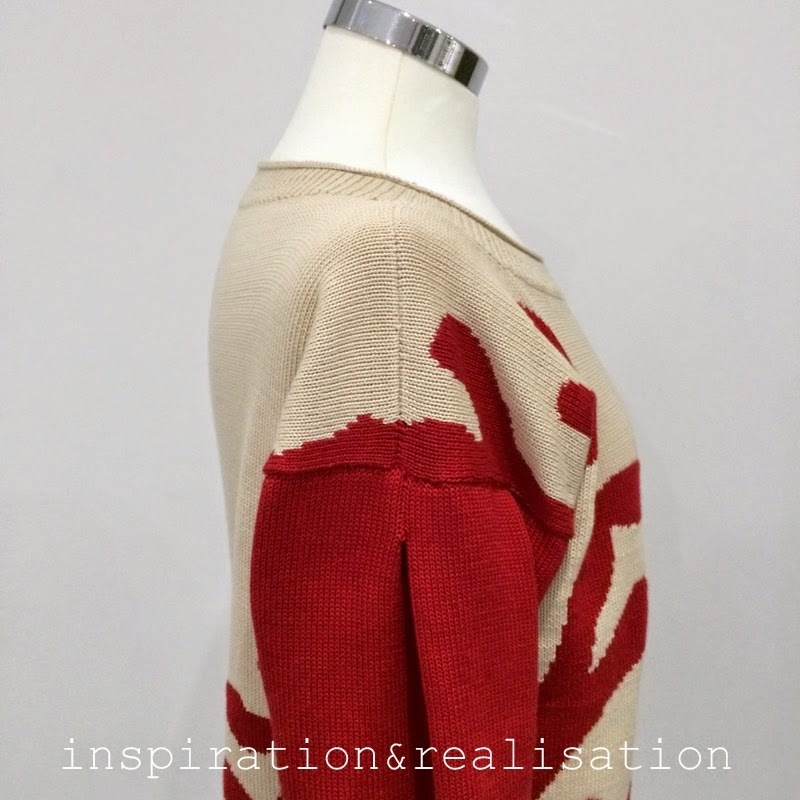 It's a boxy shaped, with a rather wide crew-neck, medium-light weight, perfect for summer. 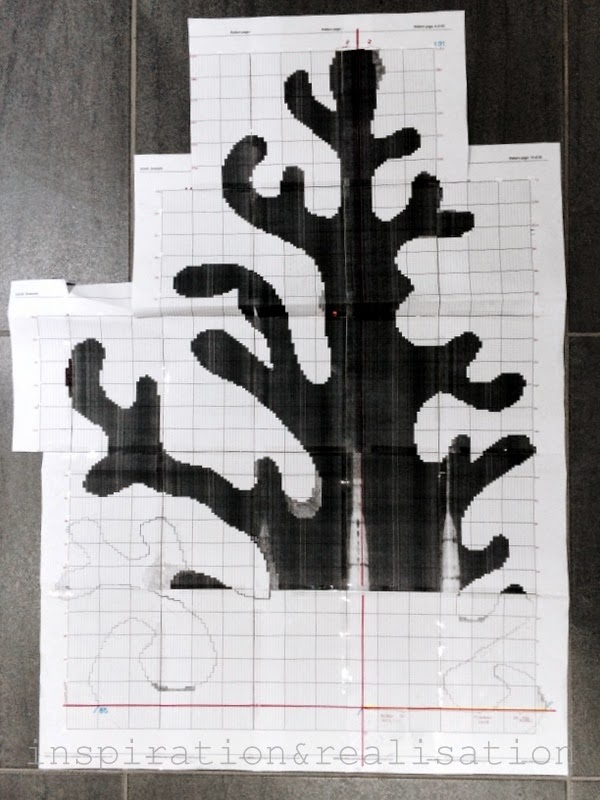 I wanted to have a larger branch on the front and a smaller one on the back. 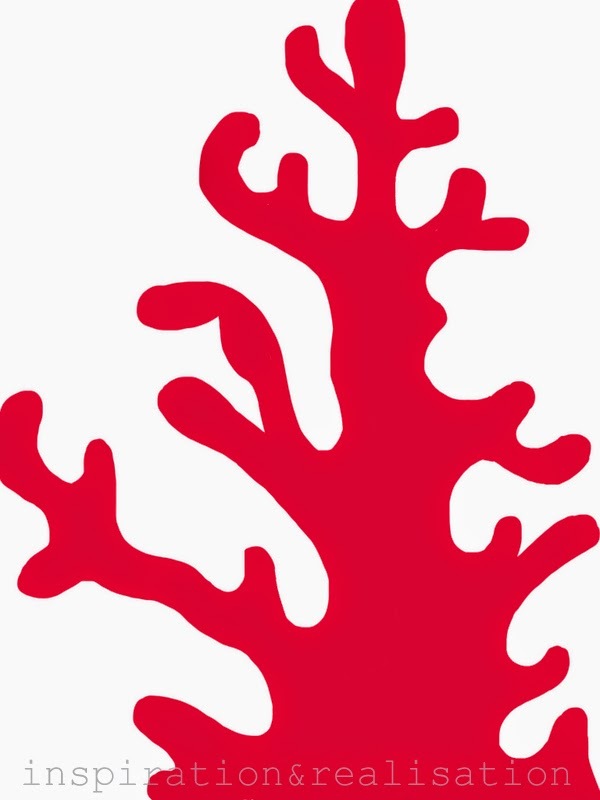 I draw the coral branch all in one piece, and traced a red line in the pattern where the brach would be split between the front and back of the sweater, this way I could keep a balance within the design. 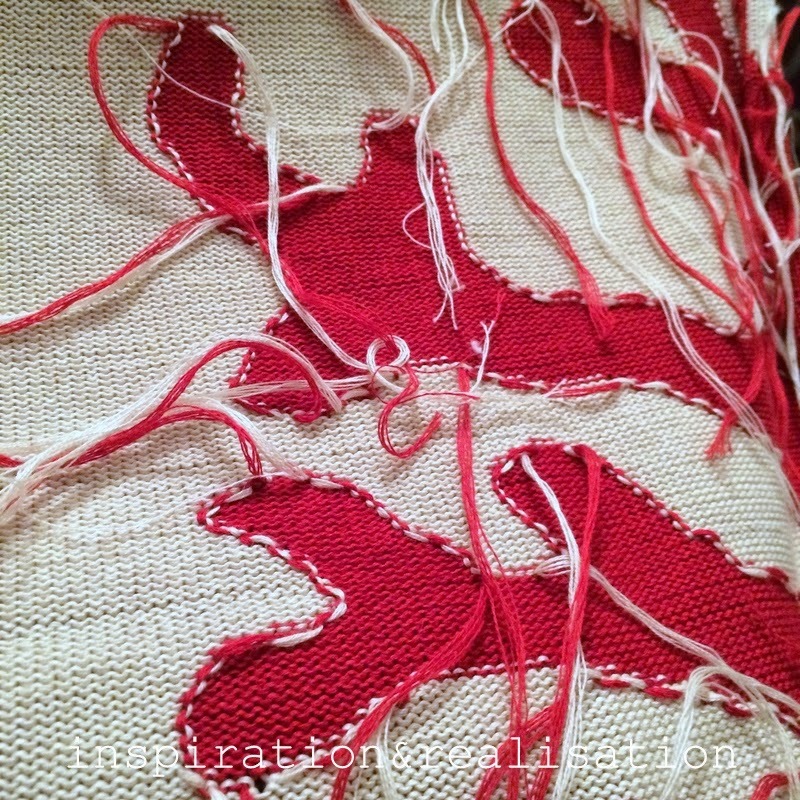 The last row both in the front and in the back has the exact number of stitches in the red cotton, so that the color work matches at the shoulder join. and at some points I was working with 8 different cones. with the last 4 rows in stockinette to make the "curl"
It took me an entire morning to weave the ends. Detail on the sleeve: I made it slightly larger, to create a small fold at the top. needless to say: I'm quite proud of my first machine knitted intarsia! It was a lot of work, but totally worthy! Wow, I'm impressed. Loved reading about the process, too. Thanks. When will I start seeing your knits on the runway??? 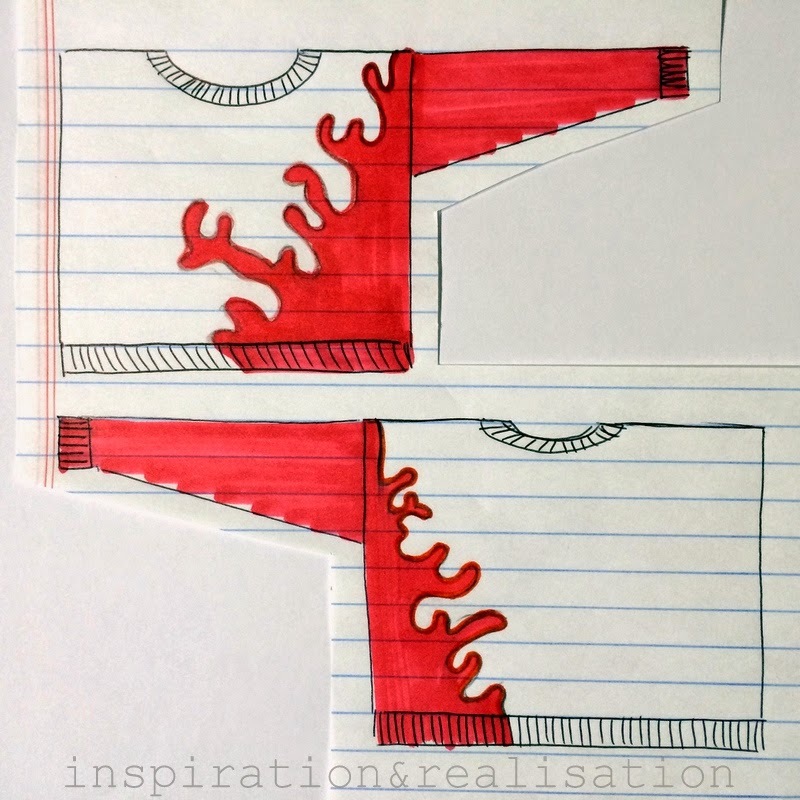 Oh so clever - and Soooo pretty! I love it!